Ever since October 7, 1996, American journalism has been slowly dragged down into the highly partisan, opinion based, no need to fact check, false equivalency, lowest common denominator, racist swamp that is Fox “News.” Americans have been subjected to almost two decades of their lies, and as Leonard Pitts Jr. suggests in his blog “Why serious people discount Fox News“ we have perhaps accepted numbly that they are just a normal part of the journalistic landscape. It’s amazing, the things you can get used to, that can come to seem normal. In America, it has come to seem normal that a major news organization functions as the propaganda arm of an extremist political ideology, that it spews a constant stream of racism, sexism, homophobia, Islamophobia, paranoia and manufactured outrage, and that it does so with brazen disregard for what is factual, what is right, what is fair, what is balanced — virtues that are supposed to be the sine qua non of anything calling itself a newsroom.If you live with aberrance long enough, you can forget it’s aberrance. You can forget that facts matter, that logic is important, that science is critical, that he who speaks claptrap loudly still speaks claptrap — and that claptrap has no place in reasoned and informed debate. Sometimes, it takes someone from outside to hold up a mirror and allow you to see more clearly what you have grown accustomed to. British Prime Minister David Cameron called Emerson an “idiot.” A French program in the mold of “The Daily Show” sent correspondents — in helmets! — to interview people peaceably sipping coffee in the no-go zones. Twitter went medieval on Fox’s backside. And the mayor of Paris threatened to sue. And so what did European protestations produce? An apology, in fact multiple apologies, of all improbabilities, from Fox. They showed us Americans how complacent we have become. And they showed us the way to take Fox down. For this we owe them a great big thank you. I chuckled loudly when I read that the White House had left the word “News” off of the SOTU luncheon seating placards. This is what the other news organizations have to do. This is what Democrats have to do. This is what America has to do. 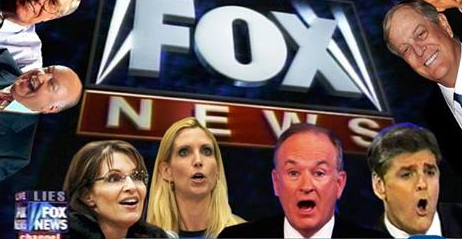 Fox is to journalism what World Wrestling Entertainment is to the Olympics. I sure hope mayor Hidalgo follows through with the lawsuit. This is going to be fun.